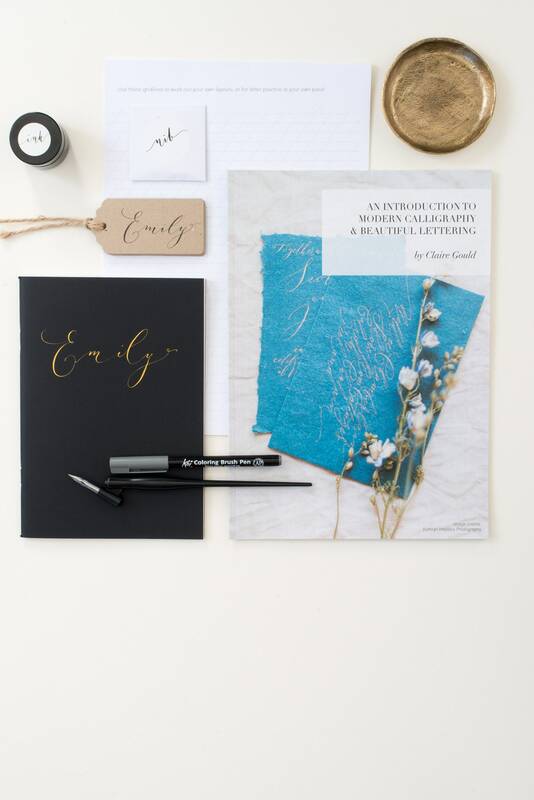 We've included everything you could possibly need in this beautiful quality beginners calligraphy kit. 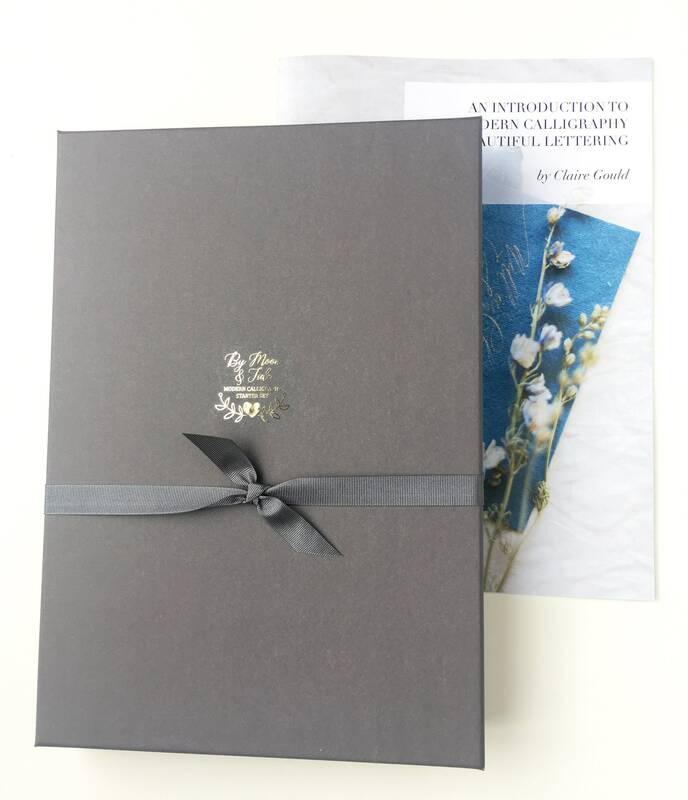 As soon as it arrives, you'll be able to dive straight in! 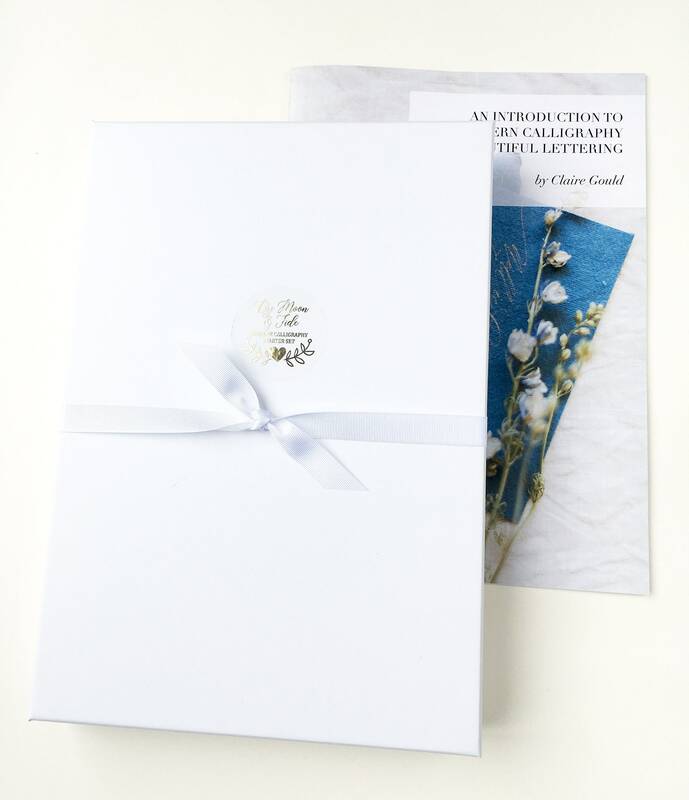 Includes a gorgeous book full of advice, letters to copy and practice, alphabets and examples. 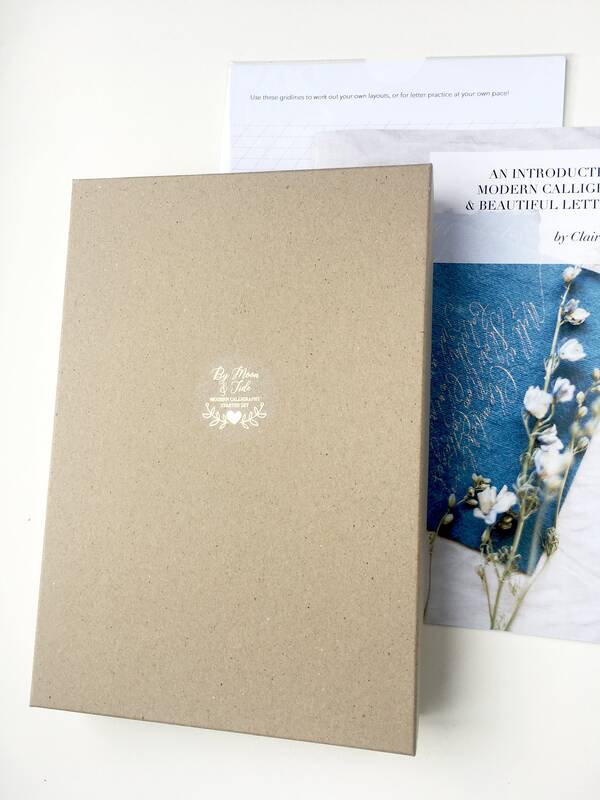 *DON'T FORGET TO TELL US YOUR FIRST NAME FOR THE JOURNAL COVER! 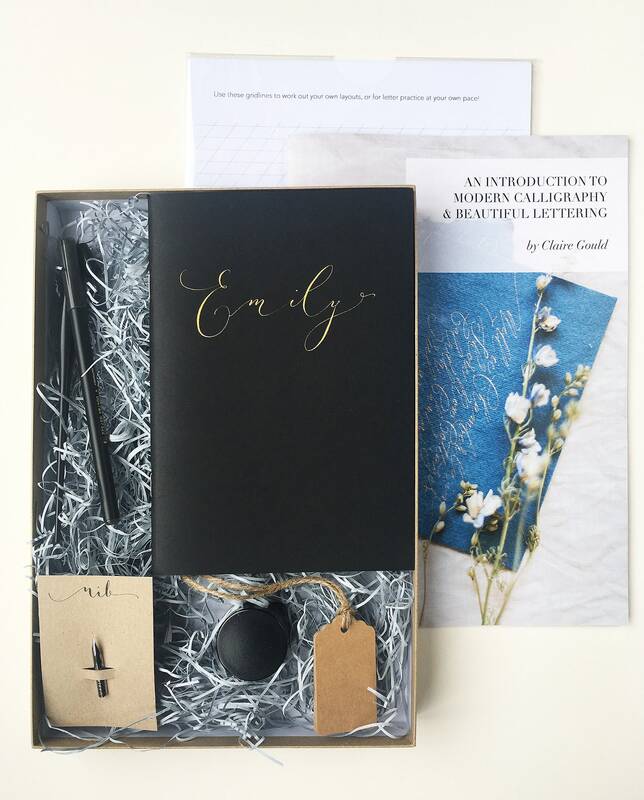 Write it in the "Add an optional note to seller" box you'll see while checking out. 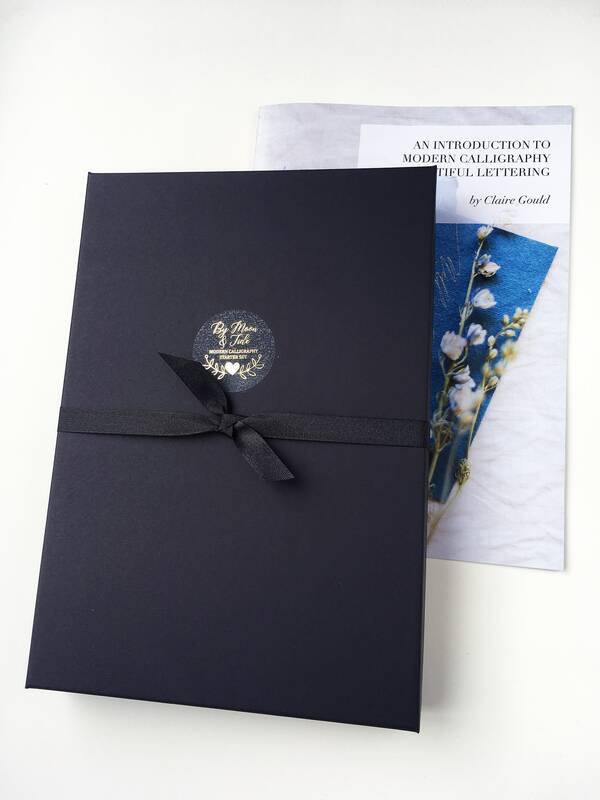 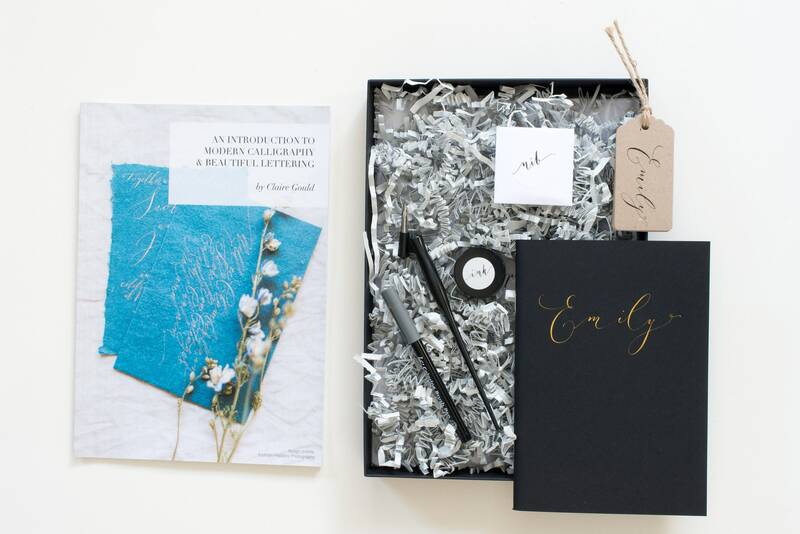 The kit is securely packaged, and includes a lovely NEW gold foil sticker presentation box in a choice of colours (black, grey, natural and white) so you can keep all of your calligraphy bits and pieces inside. 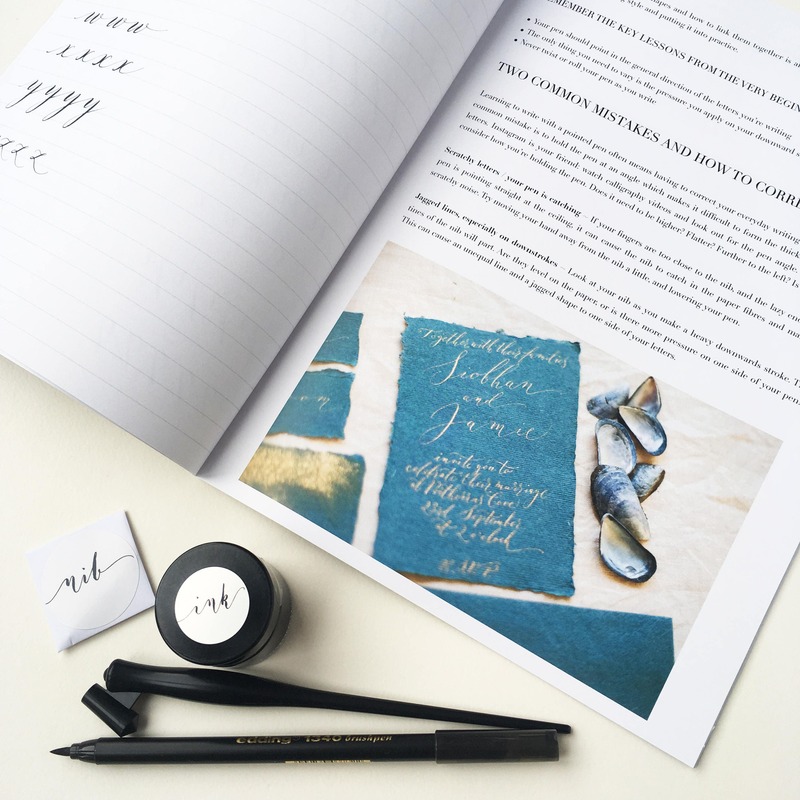 The most important thing - enjoy learning modern calligraphy!